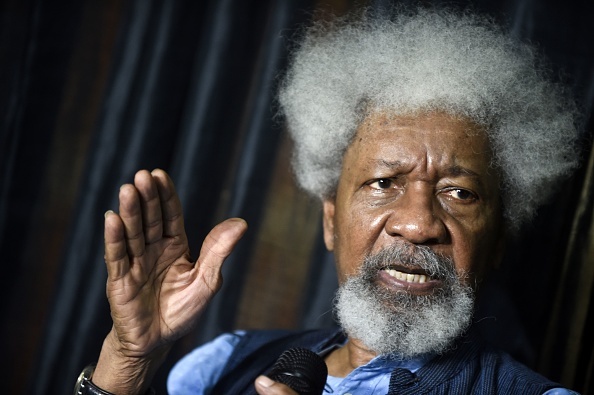 Nobel Laureate, Prof. Wole Soyinka on Sunday called on Nigerians to be careful about the people they intend to trust their votes with in the 2019 general elections. Soyinka made the call in Lagos at a programme to commemorate the 80th posthumous birthday of late human rights activist, Chief Gani Fawehinmi. The programme, organised by the Fawehinmi family, had the theme: “Democracy for the masses through proper and effective governance”. Fawehinmi, a human rights lawyer and activist, who always stood against misrule by successive governments, was born on April 22, 1938 and died on Sept. 15, 2009. Soyinka said there was need for the electorate to be vigilant as some politicians were seeking offices just for self-interests. He warned that some anti-democratic forces were already seizing the political space as the election got close, claiming to have solutions to the nation’s problems. He urged the electorate to ignore those forces and their coalitions, saying their knack to always want to decide who becomes leader was an insult to Nigerians. Soyinka said some of them bungled the opportunity to improve the lots of citizens when they had the opportunity to be in government. He, therefore, said such people, who he said had failed in the past, had no moral right to decide for Nigerians the way to go in 2019. “”And again, enough of these people recycling themselves. Nigerians should make a wise choice in 2019,” he said. Also speaking, Lagos lawyer, Mr Femi Falana urged Nigerians to make wise decisions in 2019. He admonished them not to allow themselves to be hoodwinked by people who had nothing to offer the country. Falana said the power to change the country was in their hands, urging them to use their Permanent Voter Cards to achieve that in 2019. In his speech, a former governor of Kaduna State, Alhaji Balarabe Musa, described Fawehinmi as a true democrat who did a lot to grow the country’s democracy. He said Fawehinmi was a philanthropist who impacted positively on the lives of the downtrodden. “”Fawehinmi was a dogged fighter for the institutionalisation of democratic practices and the enthronement of a democratic culture in Nigeria. “”An indefatigable warrior in the cause of human rights and civil liberties. He is a cheerful philanthropist and caregiver. A Nigerian patriot who looked dictators in the eye,” he said. He said Fawehinmi would be missed for his struggles for a better Nigeria. Speaking, Sen. Shehu Sani urged Nigerians to vote according to personalities and not parties. He said the country would not get the best leaders based on party affiliation. He said Fawehinmi represented every good democratic ideal, saying he would be sorely missed by everyone. “”He was not only an institution but built institutions. He was a model of democratic struggles and advocate of good governance,” he said. The Publisher of Sahara Reporters, Mr. Omowole Showore canvassed a generation change in leadership. He urged Nigerians to vote leaders who would turn the fortunes of the country around and not saboteurs. Sowore said he was contesting the presidency of the country to bring the desired change to Nigerians. If the said 2019 will come, if the dead fraudulent political name Nigeria will exist in this natives territory in 2019, if the dead fulani fraudulent criminal sultanate political government with its emirates will exist in this natives territory in 2019, only the Sword decides in this climax of the ongoing Revolution War of the natives under the natives Disintegrated Republics which secures the natives existence and future in 21st century world. God Is With Us!! !